Zen rhyme space design agency ── an interpretation of "Zen and design" concept of the brand. 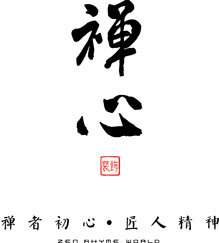 Its founder Mr. Luo Yanzao, but devout Buddhists, meditation for many years, has a unique understanding of Zen. Adhering to the promotion and Zen design duty, clear his lifelong mission, Luo Yan Yun Chan made a record space design agency. No matter what style, strength Western European or Chinese, Zen design tends to make perfect, but in the space of the user, it will feel the impact of Zen, the heart will be calm and peaceful.